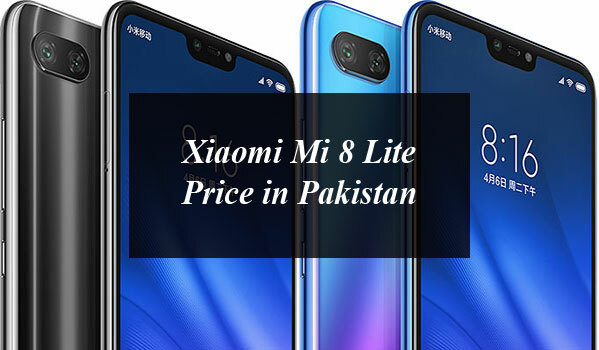 Xiaomi has launched the Mi 8 Lite which is the variant of the Mi 8 and available for sale in Pakistan. The company has released the Xiaomi Mi 8 Lite in September 2018 in China with amazing features and outer body offer the mirror like gradient finish. It includes a 24MP Sony IMX576 camera on the front, and powered by the Qualcomm Snapdragon 660 AIE SoC, Mi 8 Lite will fulfill the needs of those who want fabulous photos and a fluid experience on their mobile phone. Xiamoi Mi 8 Lite features a 6.26-inch 19:9 IPS LCD full-screen display, with an FHD+ (2246 x 1080) pixels of resolution and Corning Gorilla Glass 5 protection on the front. This affordable smartphone is available for sale in Pakistan with the price tag of Rs. 39,999. The phone is available having Midnight Black, Aurora Blue, Twilight Gold color options.